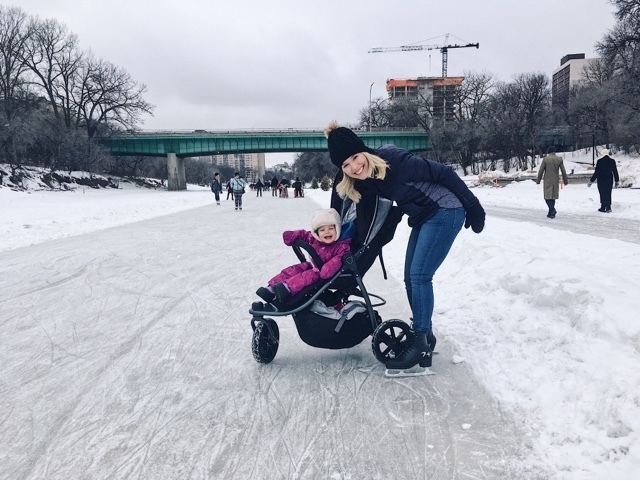 If you live somewhere like me (COLD, COLD, STILL COLD), sometimes it gets a little discouraging trying to brave winter with your littles (check out my top 5 winter-must-haves for baby and toddler here). 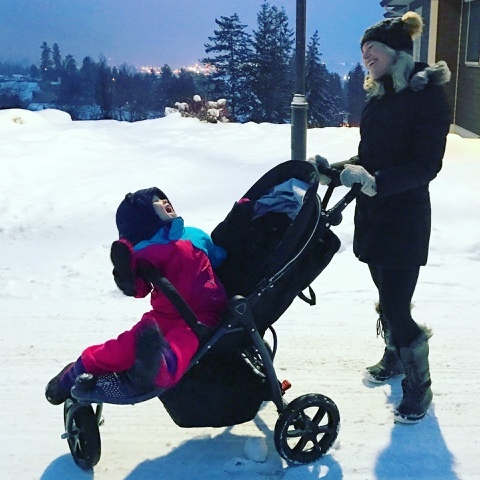 Honestly though, if the snow's not too high, a great all-terrain stroller is your best bet for combatting and even ENJOYING winter. 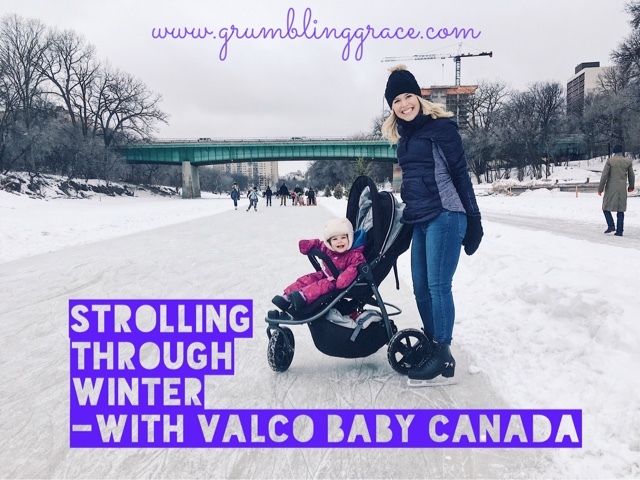 I've always been a fan of Valco Baby strollers and I used our first Valco Snap light-weight stroller for three and half years. Oh my heart - baby Emily. It's going to a new home (seriously, they don't quit) because I just upgraded to this beautiful gal, the Valco-Tri-Mode-X. "You're not asleep, but I still love you." 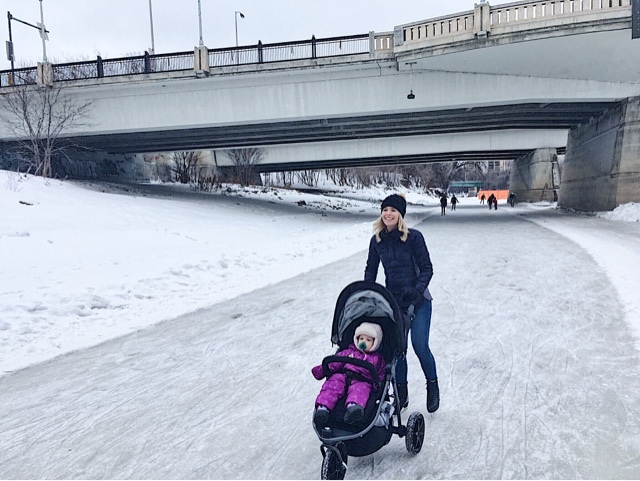 I'm not *great* at enjoying winter, but I try and anything that gets me outside and moving really helps. 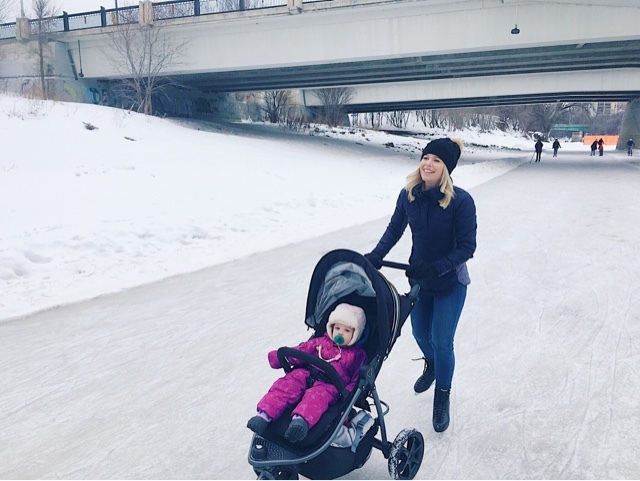 A fantastic stroller is key to my success. 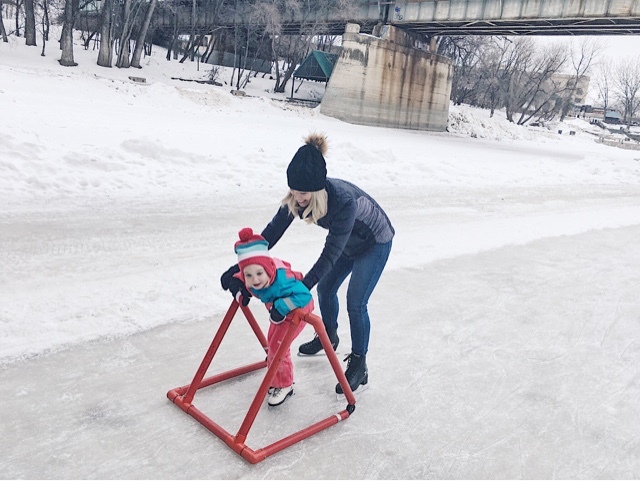 As a mom, you'll figure out what's important to you and which features you need to best suit your family. 1. Easy fold and transport. If it weighs 200 pounds and I have to remove 6 sections, it's not going in the car, airplane or anywhere I can't get to from my garage. 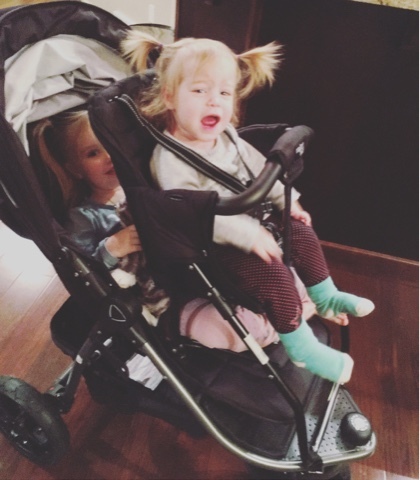 Both of my Valco Baby strollers fold up and down like a dream. The airport staff comment on it whenever we travel. 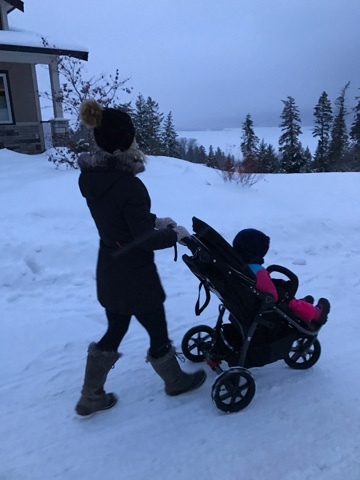 I love that this rugged buggy isn't oversized (hello doorways and narrowly shovelled paths) but is super roomy and comfy for the kids. 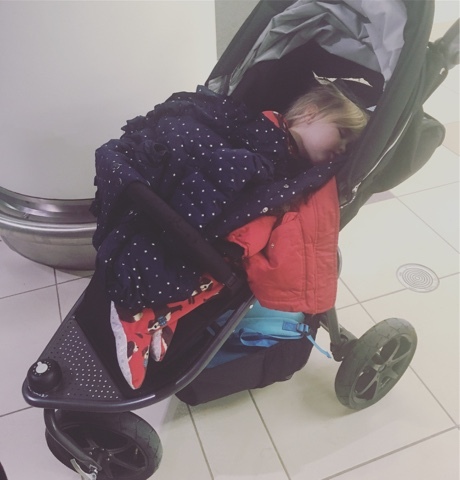 All packed up with a sick girl snoozing at the airport. 2. 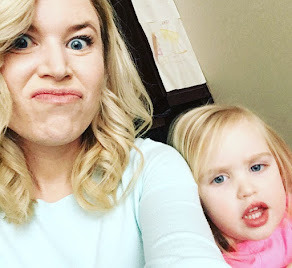 Versatility for baby to older toddler. Emily's going to be 4 in the spring, but sometimes she still gets tired out and wants a ride. 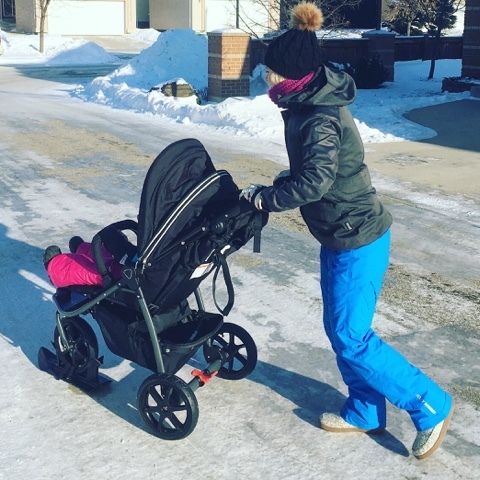 Being able to switch out the kids (Emily can use the seatbelt harness alone and I can leave the 5 point harness set up for Gabby) is a huge bonus for me and means I usually choose this stroller over our much heavier, much larger sports-double trailer. I also love that they can potentially both fit into at the same time and that reclines for a rest. How cool is this attachment - the x-series toddler seat???? Gabby's yelling "GOOOOOO." 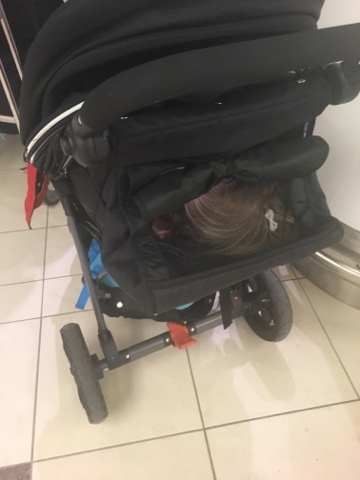 I like to throw some snacks, an extra blanket and maybe a carrier in the stroller so I want an easily accessible basket/pocket to reach all the goodies. HUGE basket. I can't even say 'huge' without thinking of the Donald now. Shudder. 4. Navigates well through varying terrain. 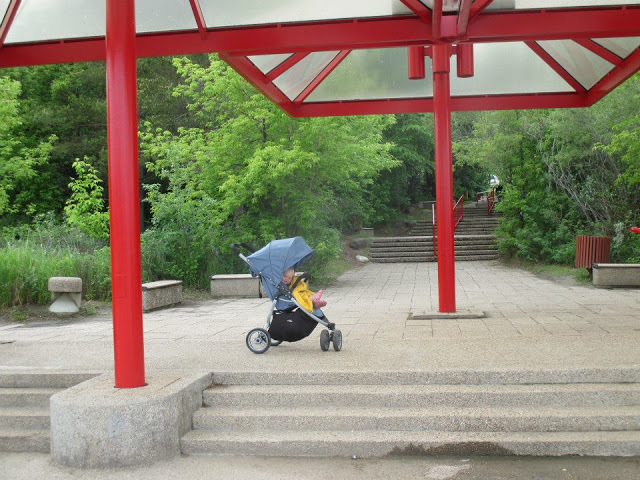 I've tried the umbrella strollers. I end up wanting to throw them off a cliff. 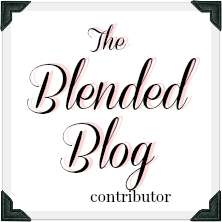 We have dirt, ice, snow and puddles... and that's just our SIDEWALKS. The suspension and larger wheels on this beauty hold up to activities from bumpy paths to ice skating... which by the way, is a winter activity I highly recommend with your stroller! Junk will fall apart, stop working and generally frustrate you greatly. 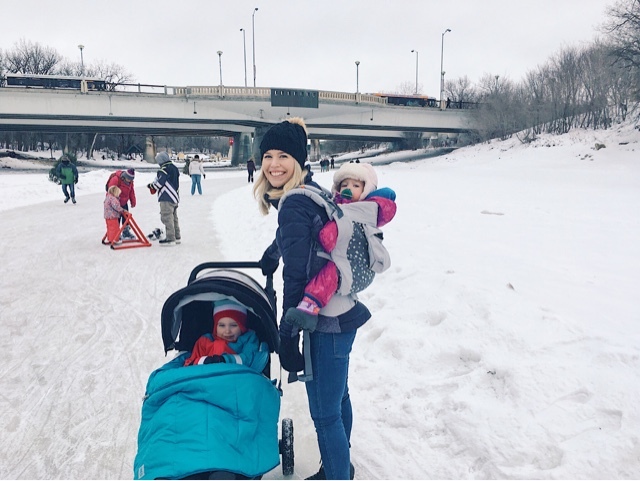 I need a stroller that won't quit and that I can depend on when we're 6 miles from home. Or 2000 miles from home. Ahhh... B.C. You are beautiful. So this winter, I wish you adventures, smiles, smooth strolling and zero poopsplosions. 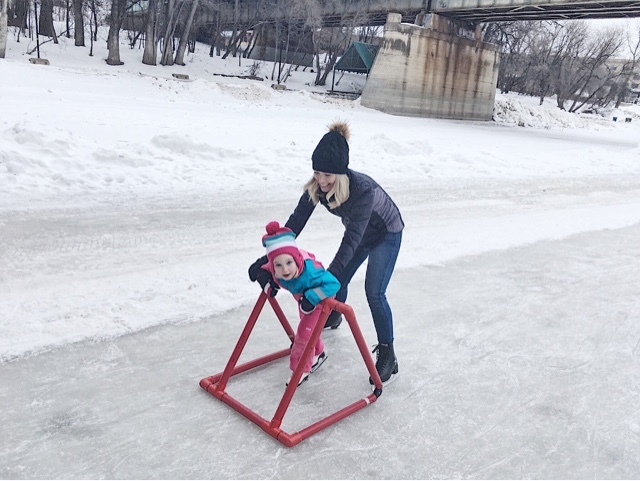 Here are a few more shots of our fun at the Forks! 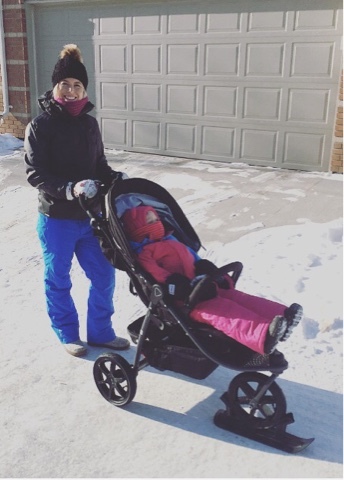 I was provided a new Valco-Tri-Mode-X stroller from Valco Baby Canada but all opinions (as always) are 100% my own.